Celebrating women in music and the men and women who love them, the first annual Los Angeles Women's Music Festival featured Sophie B. Hawkins, BETTY, Klymaxx, Patrice Pike, Los Abandoned, SONiA of Disappear Fear, Brasil Brazil, SheJay DJs and many other talented artists. The event was both a ground-breaking women's music festival and a benefit for animal rescue. Produced by Gayle Day, Miria, Gilli Moon and Toni Koch, in partnership with Warrior Girl Music, SheJay, and Adventure Art Entertainment, etc, the first Los Angeles Women's Music Festival was held on Aug 25, 2007 at Woodley Park in Van Nuys, CA, and featured 65 female performers and female-fronted bands from around the world, representing all genres of music. 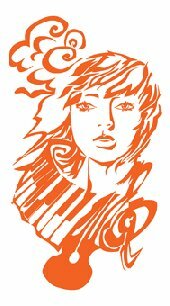 The official theme of the 2007 Los Angeles Women's Music Festival was Females on Fire after Warrior Girl Music's compilation albums by the same name. The festival was solar powered and offered vegan, vegetarian and organic food to attendees. We also hosted pet adoptions and raised money for animal rescue. The City of Los Angeles gave the festival an award for our contributions to the community. Despite the success and popularity of Lilith Fair and other women's music festivals around the country, this was the first festival of its kind in Los Angeles, the heart of the music industry. The support for and response to the festival was overwhelmingly positive. As one fan put it, "I love music – and I love women!" Held at Woodley Park, home of Los Angeles' largest earth day festival, WorldFest, with power provided by eeSolar and with vegan, vegetarian and organic food, pet adoptions, children's activities, a healing arts tent and more, this was an eco-music festival with fun for the whole family. Festival sponsors included 95.5 KLOS – The Official Radio Sponsor of the Los Angeles Women's Music Festival, METRO, Guitar Center, Sam Ash, Songsalive!, Daisy Rock, REMO, SheJay, Adventure Arts Entertainment, LA Weekly, BMI, Whole Foods, Luna Bars, Hansen's, Alfred Publishing, D'Addario, EarPeace Technologies, EarPeace Technologies, SonicBids, LaLaMusic, Native Instruments, Jack FM, KOST, San Diego Indie Music Fest, Indiegrrl, TK Promotions, Hollywood Rock Academy, LAWIM, Jeannie Deva Voice Studios, Magdalene Center, Indieclectic, Sarelia Productions, and Lofty Dog. Festival hosts include well known KLOS DJ Cynthia Fox, Jorjeana Marie, Cynthia Delgado, Aaron Black, Ashley Powell, Jesselynn Desmond, Chris Opperman, Teri Hitt and SheJay founder Mona Holmes. Animal rescue groups from Los Angeles joined the festival to offer pet adoptions. By bringing them out on a beautiful Saturday in August where there was a huge community of like minded, compassionate human beings, we raised consciousness and gave the chance of a loving home to many of the animals. The following rescue organizations participated in the festival: Bunny Luv Rescue, Cat Connection, Death Row Dogs Rescue, Forte Animal Rescue, K9 Connection, World Heart Foundation, Heaven on Earth Society for Animals, Boxer Rescue-LA, Lhasa Happy Homes Rescue, and Villalobos Rescue Center. Panelists and workshop leaders in the industry tent included: Jennifer Goldberg: Director of Digital Media, KABC/KLOS Radio; Alethia Austin: A&R Select; Debra Russell: Artist Coach, Artist's EDGE; Sindee Levin: Attorney AMRA (American Mechanical Rights Agency; Inc.); Harriet Schock: Harriet Schock School of Songwriting; Annette Conlon: Nette Radio; Jeannie Deva: Celebrity Vocal Coach, Deva Voice Studios; Sheena Metal: Radio Host/Talent Booker; Tish Ciravalo: Daisy Rock Guitars; Nadja Narotzky: Sounds of Success, Music Supervision and Publishing; Judy Lamppu: Los Angeles Women in Music; Kate Perotti: Mommapalooza; Heather Kreamer: mOcean Pictures; Lynn Bronstein: Journalist; Pamela Phillips Oland: Songwriter; Jennifer Corday: Artist/Label Owner, Envy Records; Joan Enguita: Artist/Label Owner-Red Coyote Records; and artists Lauren Wood, Julie Gribble, Lauren Adams, Ashley Maher, Lisa Sanders, Julie Silver, Lynn Keller, Tracy Newman, Janet Robin, and Kelly Fitzgerald as well as a special appearance by Sophie B. Hawkins. Vendors included Brigitte Gaviola, Gelato Bar & Espresso Coffee, Gorgeous Goddess Wear, Guardian Animal Aftercare, Hoop Revolution, Jeannie Deva Voice Studios, Juice Plus, LA Times, Last Chance For Animals, Light N Lifted, Mama Juju, Planet Coexist, The Floating Bed Company, The Good Cheer Company, Todie's Apparel, Ursa Blue Designs, VAM Acoustics and more. 65 bands and performers played from 10-6 on five stages including the SheJay dance tent with DJ Lillyanne, DJ Syrena, DJ Diosa, Holly Adams, Sirsa, and DJ-duo MIAmor and SyrEhN. The line-up pon the other stages included Alex Davis, Alissa Moreno, AM Pacific, Amy Raasch, Ashley Lennon Thomas, Bardo, Bella Donna - A Tribute to Stevie Nicks, Carla Fleming, Christine White, Danielle Lo Presti and the Masses, Debra Knox Power Trio, Deena Russo, Gayle Day, gilli moon, Hayley Taylor, Heather Lauren, Holly Light, Hollywood Rock Academy, Irina Bjorklund & Peter Fox, Jamie Green, Janet Robin, Joan Enguita, Julia Othmer, Kris Miller, Kristy Hanson, Kym Trippsmith and Feisty Females, Laura Bradley, Lauren Adams, Leigh Silver, Little Sista, Maeve Hughes, Maesyn, Mali Woods, Marina's Daughter, Melissa Mullins, Michael Ann, Miria, Neuromance, Nikki Katt, Parade, Penelope Torribio, Renee Wilson, Riddle the Sphinx, Salon K, Sam Stollenwerck, sASSafrASS, The Pin-Up Girls, Trysette, Two Loons for Tea, and Zera Vaughan, as well as REMO drum circles, hula-hooping by Hoopaliscious, belly-dancing by L.A. Tribal and by Inanna, a gong bath by Yaelle Shaphir and more! Additional performers in the children's area and The Divine Lotus healing arts tent included children's book author Penelope Torribio, Brad Stubbs, Jumbo Shrimp, Spirit Soul Band, Hollywood the Clown, Alice Jones, author Ina Hillebrandt, and musicians Joy Krauthammer, and Miri Hunter. The Los Angeles Women's Music Festival and related events create a supportive community for female artists in Los Angeles, with opportunities to perform, collaborate, and connect. In addition to the vitalizing effect that women's music festivals have on the women's music scene, the LA Women's Music Festival provides unparalleled exposure for unsigned and independent female artists by offering them performance opportunities in the epicenter of the music industry. The Los Angeles Women's Music Festival supports musicians and artists in their efforts to imagine and create positive change in the world. Events raise awareness for a variety of causes, from animal rescue to alternative energy. The Los Angeles Women's Music Festival is committed to helping musicians help the planet by promoting compassionate, sustainable choices for living. Human beings, animals, plants - we are all in this together and together we can rock the planet.